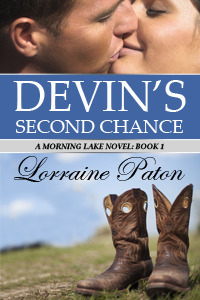 TBQ'S Book Palace: [Pat's Review]: "Devin's Second Chance"
[Pat's Review]: "Devin's Second Chance"
Cowboy Devin Trent can't believe his matchmaking mom is trying to set him up with Claire Best, the photographer at the local art gallery. She should know better than anyone why he doesn't deserve a second chance at love. What surprises him even more is that he is drawn to Claire and she seems interested in him, too. Their mutual attraction grows every time they see one another, but when he suspects Claire is keeping a secret he becomes wary. After all, his first marriage was ruined by secrets and lies. Can Devin earn Claire's trust? Or, will her secret end their relationship before it begins? This novel is about a man who wakes up every morning, doing the work that needs to be done, but not really living his life. This man is Devin Trent, former rodeo star, now running his ranch with the weight of guilt and loss on his shoulders. His wife Olivia passed away three years ago from breast cancer. She was a stained glass artist, and her work remains in her studio in his home. He has not entered her studio nor looked at her work since the day she died. Claire Best is living in Morning Lake working at a gallery, and is a photographer. She moved here to take care of her grandmother, who has since passed away. She left Claire her sprawling old house, which Claire loves, but can't afford to keep up. She now lives in rooms built above the garage, and rents the house to summer boarders. Claire and Devin's first meeting is not a pleasant one. He escorts Shirley, Olivia's mother, to the gallery to discuss showing some of Olivia's work, which he has no intention of allowing to happen. 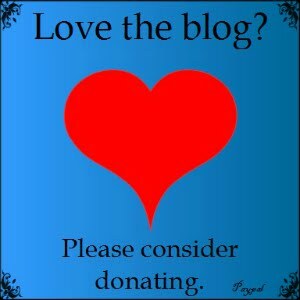 It doesn't matter that the showing is to benefit Cancer Research. Devin is immediately confronted by a stunning portrait of Olivia in the window of the gallery. He is livid. Claire had taken the photo of Olivia on a visit to her studio not long after Olivia's diagnosis . Devin wants it removed, now. 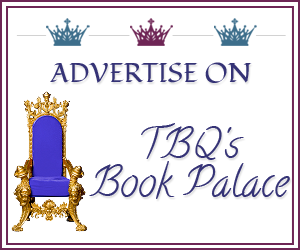 The attraction is immediate, but Claire and Devin have secrets they do not want to share. Claire is also dealing with the teenage son of her boarders, left alone, and looking for trouble. Devin witnesses some of this boy's destruction, and steps in. It's not so much about Olivia's work anymore, it's about Devin and Claire's emotions, and their reluctance to let go of their fears and insecurities. I enjoyed this novel, finished it in one sitting. I recommend this novel for readers looking for wonderful characters, cowboys, a sweet love story, and people who believe in second chances. Thanks for the review, Pat! :) This one sounds like a great book, I'm putting it on my list. Who doesn't love a cowboy hero, right? Do you have a favorite? OOoo Pat this so sounds like one I need to read!